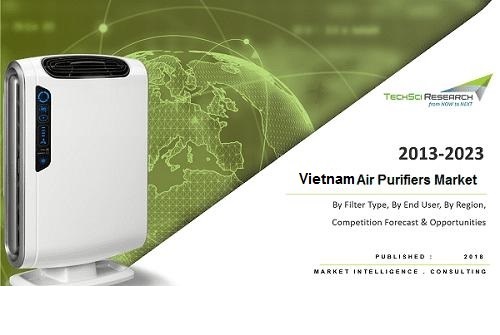 According to TechSci Research report, “Vietnam Air Purifiers Market By Filter Type, Competition, Forecast & Opportunities, 2013 – 2023”, Vietnam air purifiers market is forecast to grow at a CAGR of over 16% during 2018 – 2023. Anticipated growth in the market can be attributed to rising concerns towards constantly degrading air quality across the country owing to rising construction activities, rapid industrialization and growing number of vehicles. Air purifiers are being increasingly used to filter contaminants and particulate matter present in the air. According to WHO, 6 out of 10 diseases with the highest mortality rates in Vietnam are related to air pollution. Consequently, growing concerns regarding the harmful effects of air pollution on health are expected to boost demand for air purifiers in the country during forecast period. Vehicular emissions account for a significant amount of the total carbon monoxide emissions and many other hazardous substances in the country. Air pollution at construction sites is five or six times higher than the standard level. Moreover, number of expats living in Vietnam are facing problems such as regular sinus infections and persistent cough & chest congestion, just after shifting to the city. South Vietnam is the largest demand generating region for air purifiers. The region includes cities with high pollution levels such as Ho Chi Minh City, Nha Trang, Can Tho, etc. 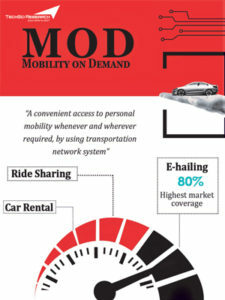 Ho Chi Minh City has a large number of vehicles, industrial parks. Moreover, many construction activities are going on in the city which affect the quality of air, thereby resulting in huge demand for air purifiers. “Continuously increasing construction and industrial activities and rising vehicular emissions are the main causes of air pollution in cities. However, rising awareness regarding pollution and benefits of air purifiers is anticipated to continue increasing demand for air purifiers across Vietnam in the coming years. Additionally, various foreign embassies, multinational companies, schools, international governing bodies, etc., are installing air purifiers in their premises to ensure clean indoor environment for their people. Such developments would provide lucrative opportunities to air purifier companies operating in Vietnam during forecast period.” said Mr. Karan Chechi, Research Director with TechSci Research, a research based global management consulting firm. “Vietnam Air Purifiers Market By Filter Type, Competition, Forecast & Opportunities, 2013 – 2023” has evaluated the future growth potential of Vietnam air purifiers market and provides statistics and information on market structure, size, share and future growth. The report is intended to provide cutting-edge market intelligence and help decision makers to take sound investment decision. Besides, the report also identifies and analyzes the emerging trends along with essential drivers, challenges and opportunities present in Vietnam air purifiers market.